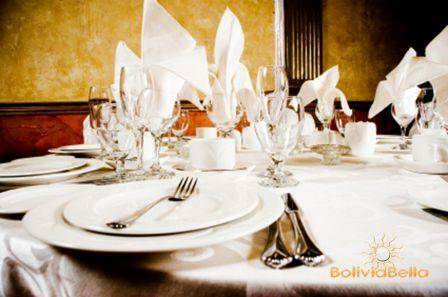 Dining etiquette in Bolivia and Latin America in general closely follows European tradition. 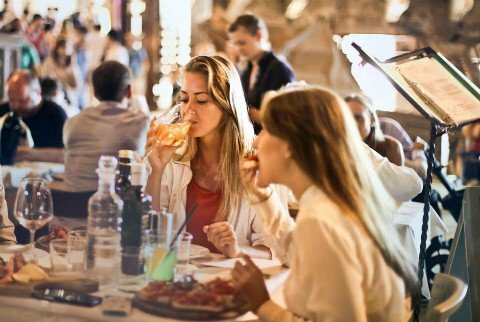 How formally you should act when dining depends on where you are and who you are with, or how well or long you know the people you are dining with. It also depends on the occasion, and whether it is social or business related. These are some general tips on dining etiquette that you should follow whether you are at a restaurant or at someone’s home. • Don’t eat with your hands. Bolivians rarely eat with their hands, except when they are eating sandwiches like burgers and hot dogs. Forks and knives are used at all times, even when eating pizza, fruit, and hard to cut items like chicken. Hold the fork in your weak hand and cut with your strong hand (the hand you write with). Don’t put your knife down and switch your fork to the other hand to eat. • Never slurp, burp or wipe your nose at the table. Never use your napkin for any of these things, including sneezing. You should be carrying a hanky for that. Always keep your napkin on your lap, never on the table. Never spit into a napkin. • When someone asks you to pass them something (salt, oil and vinegar, etc.) don’t hand it directly into their hands. Set it down next to them on the table. If they are not next to you, pass it to the person next to you – the item will be passed down from person to person until arriving at its intended destination. This is not just dining etiquette – some people are superstitious and believe if you hand someone something directly into their hand, it will bring bad luck. Never reach across the table or stand up to pass something. Never “toss” anything to anyone. • When dining, you should keep both hands visible at all times, usually eating with one hand and cutting food with the other. When your hands are empty, keep them on the table, not on your lap or hidden from view, which is construed as a sign of deception. Never put your elbows on the table. It is a sign of disrespect. This is one of the most important aspects of dining etiquette as it can directly affect the relationship you will have with your hosts and whether they trust you and welcome you. • Never say “I don’t like that” or make any other comments indicating how disgusting something is to you. Never grimace or make any other faces indicating dislike. Simply don’t eat the food and quietly ignore it (even though leaving something on your plate is considered rude either way). • If you are drinking wine, always have the server pour it, even if the bottle has been left for you at your table. There are several strange beliefs and superstitions about wine in Bolivia. Again, not just a dining etiquette thing: this involves people’s beliefs. • Bolivians rarely invite people over for dinner unless they have a special occasion or day off, and in most cases they will set up a churrasco, do some grilling outdoors, and everyone will help themselves buffet style. Those who have lived overseas tend to do more entertaining at home than others. • Don’t arrive empty handed. Usually you should arrive with something to give your host or hostess upon arrival. Greet them first, then hand them your gift. It doesn’t have to be expensive. Flowers, wine and chocolates are common. If the household has children, you could bring something small for the kids instead of your host. • Most of the time food is not placed in the middle of the table and each person does not help themselves. Except in very informal family situations, or unless it is a buffet, most of the time each plate is served in the kitchen and brought out to each individual. Everyone is expected to eat everything on their plate. Leaving food on your plate is considered rude and the fact that the plate is usually served to you, instead of you serving yourself, makes this difficult at times. Just be as gracious as you possibly can and don’t worry about memorizing this whole dining etiquette list. • Meals usually include several courses. You may be offered finger foods before dinner, then soup, salad, a main course, and dessert. Be careful about complimenting the food – a complement is usually a signal that you want more. If you’re full, wait until after dinner to complement your host on the meal. • When you are dining with others, it is impolite to check your watch, answer your phone, or read a newspaper or magazine. You are there to enjoy their company so enjoy it. No texting either! • When you invite someone to your home, immediately after you finish greeting them, you should offer them something to drink. Serve the drink by carrying the glass on a tray and always accompany with a napkin or coaster. Allow them to take the glass from the tray or set it down on a table for the, but do not place it directly into their hands. Never touch the rim of the glass with your hands. • It is not considered polite to ask someone for something to eat or drink at their home, nor can you make yourself at home by helping yourself to something or raiding their refrigerator. Because of this, if you don't offer your guests something to drink upon arrival, they would rather die of thirst than ask you for a glass of water. (If they are close friends they won't be shy). • Dress according to the occasion and, if necessary, ask what you are expected to wear to an event or dinner. Be aware that Bolivians are more formal in their dining attire than Americans and others. Although cruceños are more relaxed about attire, and because of the weather they actually dress quite scantily, be aware that "scanty" and "shabby" are not the same thing. Ragged clothing, clothing with holes, cut-off shorts, rubber flip-flops, sports shoes, etc. should be avoided. These tips involve dining etiquette amongst people you know or will be involved with socially. You’ll find specific tips for business dining etiquette below this. • When a plate of items is set in the middle of the table for all to help themselves from, it is rude to take the last item on the plate – it means you are greedy. The host should offer you to take it, you decline, they insist, you then thank them and take it. Don’t offer to split it with someone unless the person is an extremely close friend of yours. Bolivians don’t share food from their plates. • Bolivians usually only set food in the middle of the table for everyone to serve themselves when they are in close family situations. Among friends, they will usually choose a buffet style or plates will be filled in the kitchen and set before you already served. When you are invited to dinner at a family table, that's how you know they consider you a really close and beloved friend, practically part of the family. Don't abuse that privilege by being rude. Follow their lead to learn what each family considers acceptable dining etiquette or not in their particular home. • When you are asked to come to the table, ask your host/hostess where they would like you to sit. They will motion you to your seat. Stand by the chair they've assigned to you and don’t sit down until the head of the host family begins to sit down. • When you are invited somewhere, it is polite to arrive between 15 and 30 minutes late, but not more. If you arrive on time, your hosts may still be getting ready and it is considered impolite in Bolivia to leave someone sitting around in the living room while you finish getting ready. Your host, even if not ready, will feel obligated to remain with you as soon as you arrive. So give them time to get ready for your arrival and be politely late. • If you invite someone to your home for a dinner or party, indicate the arrival time, but never state at what time you expect the event to end. In general, your invitation should indicate an arrival time that is about half hour prior to the time you really want your guests to arrive (for example: ask them over for 7:00 p.m. if you want them to be there by 7:30 p.m.). Bolivians who have lived overseas, especially in the U.S. may be very punctual – so be prepared for people to arrive at any point after the time you indicate on your invitation. It is impolite to deride your guests if they arrive late. Greet them happily and forget about it. • If you don’t like something, don’t refuse it. Accept it graciously, take a nibble, and leave it on your plate (which is still considered rude, but you can always say you just got too full to finish). By the way, never say you are full. You should say you are satisfied and cannot eat another bite because the meal was soooo delicious! For food you ordered yourself at a restaurant, you can leave anything you want. • Everyone is expected to remain at the table until the very last person has finished eating and until the host is ready to leave the table. Bolivian meals are usually quite long, frequently lasting from 1-2 hours. Prepare your kids and share these tips on dining etiquette with them in advance – if they are served at the same table as the adults, they will be expected to remain at the table the entire time as well and observe all the same dining etiquette as the adults. • Generally, when invited to someone’s home for dinner, you will spend a good amount of time socializing before the meal so as a general rule, you should leave about 30 minutes, usually no more than one hour, after the meal, unless other activities are clearly planned. It is rude to eat and leave right away. It is also rude to sit down to eat immediately upon arrival. • Guests are always served first; however if you are the guest you should wait for your host to begin eating or drinking before you begin to eat or drink. 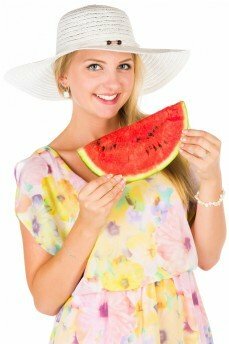 • Before you begin to eat, your host will usually say “Provecho!” which invites you to begin eating. To this you must answer “Gracias!” before beginning to eat. If you are the host, you should do the same, to which your guests will answer “Gracias” and will wait for you to begin eating before they do. • Kids should be aware that at the table they are expected to behave perfectly. Kids do not interrupt adults, do not participate in adult conversations unless spoken to first, are expected to use a knife and fork as of age 3-4, and must sit quietly and politely just as anyone else. Kids should never be allowed to play around or beneath the table. If your child cannot cut their own meal, cut it for them. If your child is bored and beginning to behave badly, ask your host if it would be alright to give them an activity to do in another room. No one plays with toys in the dining room. • My best advice about kids: if you don’t think your kids will be able to handle it, hire a babysitter and leave them at home. If they have specifically been invited, it is not uncommon for people to arrive at their host’s house with their maid or babysitters. When they begin to get bored or misbehave, the babysitter can take them into another room to play and you can continue to enjoy your meal uninterrupted with your hosts. Just be aware your maid or babysitter will be expected to eat in the kitchen with the host’s housekeeper. And your guests will be extremely uncomfortable if your housekeeper dines with them at your house as well. This has nothing to do with dining etiquette and everything to do with social standing. 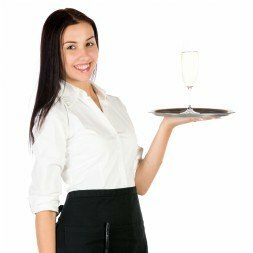 • At restaurants your host might order for you without asking you first. This happens infrequently nowadays, but if this happens, accept it graciously. It simply means they are proudly trying to show off some of Bolivia’s cuisine. If they order something you don’t like, take a nibble and leave it, but eat enough of something else to have the excuse that you were just too full to finish. If they order something you are allergic to, it’s OK to tell them you can’t eat it. • At most restaurants wait staff won’t bring you your check until you request it. At some informal eateries they’ll leave it on the table when they see you’re about to finish your meal, but they’ll usually ask if you want anything else before setting it on the table. • Never call a waitperson to your table by clapping your hand or snapping your fingers. You can, however, raise your hand and make a pinching sign with your index finger and thumb – this is understood as “Just a minute of your time please”. Smile. • In a restaurant your host will usually insist upon paying for your meal. It is considered impolite to calculate and divide up the tab at a restaurant. If they offer to pay, decline once half-heartedly. When they insist, accept graciously. You can offer to pay the tip (la propina). And the next time you eat out with them, you should pay. • Doggy bags are not a South American custom. It used to be considered very bad manners to take your leftover food from a restaurant. However, today many restaurants are getting accustomed to people taking their leftovers, a custom they learned from foreigners and which became more and more acceptable as fast food restaurants became the norm. You'll also often see beggars waiting outside restaurants. Often people will have their leftovers wrapped, and will then hand them to the poor on their way out the door. Restaurants often shoo beggars away, so they wait a little further down the street. • It used to be that Bolivians didn’t take their food home from restaurants at all. This is again, not so much an issue of dining etiquette, but more of a social standing issue. People who can afford to eat out at restaurants don’t need to take their food home. It’s a money thing and in Bolivia, money is power. Any action showing you don’t have money or that you are being extra careful with your money reduces your social standing. This is changing a little as people take up customs from other countries, but in general, unless your host does it, don’t do it yourself. • Upper class Bolivians don’t like beggars hanging around and are not afraid to show it. Servers will usually shoo beggars and children away. Don’t hand beggars your food directly in the restaurant (they sometimes enter the outdoor sections and approach tables). Very quietly your server take the food to the kitchen, put it in a bag, and give it to the child discreetly. You should tip your server as you are requesting this to reward them for the embarrassment that it WILL cause them. If you don’t have a waiter, discreetly ask for bag, discreetly put your leftovers in it, discreetly give the beggar your food, after you have left the restaurant several steps behind. • It is customary for foreigners to leave the standard 15% tip. Bolivians rarely tip more than 5-10%. Leave the tip under your glass, cup or plate with just a little piece of the bill or coin sticking out, just enough for the waiter to see it, but not enough for others to swipe it off the table quickly. Your waiter will not pick up a tip until you've left the table. Don't tip your waiter directly into their hand - they'll be embarrassed by that. • Business is commonly conducted around a meal, usually at a restaurant; however, dining is a social occasion and you should not bring up business matters until your Bolivian host does. Be prepared to chitchat about your family, your country, etc. but don’t discuss poverty, religion or drugs, don’t give your opinion about Bolivian policy or the government, and don’t in any manner insist that U.S. policy is better or more correct. • Don’t discuss business at social functions. If it isn’t a business meal, conversation isn’t open to business. People want you to get to know them on a more personal level. If they consider you a friend, and trust you, you are more likely to get their business. • Business meals at restaurants, although considered a social occasion, are not usually open to wives, husbands, children, or any other friends who are not directly related to the business that will eventually be discussed. • If you are invited to a home for a business lunch or dinner, you can ask if you are expected to bring your partner or kids. Usually the invitation will, in this case, include the family if your business associate has a wife/husband and /or kids as well who can entertain your partner and children while you wander off to discuss business at some point. • In the business environment making someone wait for you is a sign of your power over them, so strategically, don’t make your business host wait for you – be gracious and wait for him/her. Let them feel they have the upper hand, even if it is only a polite gesture on your part. • Lunch is usually the big meal of the day. Dinners tend to be smaller unless they are large occasions with a large amount of people. Bolivian businesses are gradually beginning to take on a continuous work day; however, most still break for lunch and siesta during the middle of the day between 12:00 and 2:30. Dinners tend to begin around 8:00 or 9:00 p.m.
• Be aware that smoking indoors is not against the law in Bolivia and people quite often smoke in restaurants. Very few places have separate smoking sections. Asking someone not to smoke is considered rude and imposing. If you are a smoker, do not smoke unless your host smokes too, and if you smoke, always offer cigarettes to all the people around you. It is rude to smoke without offering to share with everyone else. Believe it or not, people even smoke as they do their grocery shopping in the supermarket. Blech! As you can see, business dining etiquette and family or social dining etiquette can be quite different. In general, remain relaxed, be friendly and polite, and all will go well even if you don’t adhere to all the “rules”. In general, cruceños are more relaxed about dining etiquette than people from the Andean region. To a point. 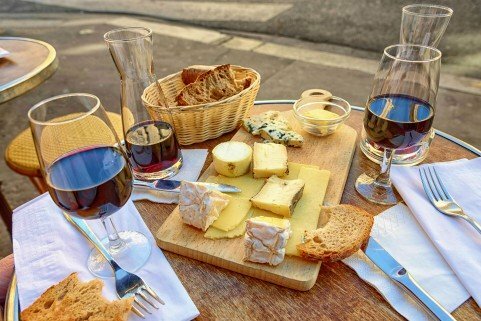 Dining is still much more formal here than in the U.S.
You may not agree with some of the dining etiquette explained here. You may even think some of it is ridiculous. You may even be enraged by some of it. But if you are a guest in this country, you should not embarrass your host by pointing out your differences, disagreeing or getting into an argument about it. Simply don’t do it yourself and let your example speak for you. Don’t get nervous or worry too much about making mistakes. Unless you are blatantly impolite or rude or your dining etiquette is atrocious, most people won’t think too poorly of you. They are aware that foreigners may not be well-versed on Bolivia’s customs. However, they do expect you to have at least done your homework and behave politely. You are a guest, but it is in your best interest to make a favorable impression. In a business situation, people will not correct your dining etiquette or other behaviors as that would make them seem rude to you as well, and they will not want to jeopardize the business relationship by doing so. But in a more informal situation (among friends or if you are, for example, an exchange student living with a family) they will consider it their duty to correct and teach you your manners and when Bolivians decide to be direct about something, they are really direct! You would do well to study dining etiquette closely. It is probably more important than any other kind of etiquette required in other situations.